Blackwood Gazette #50: Blackwood Gazette Relaunch has been A Success; Thanks for Reading! 31/7- When my father began the Blackwood Gazette, his vision was a humble one. He lived in a small town in The Middle of Nowhere, that thin region that separates Old Crowndon and the Alliance of Southern Kingdoms, where news of the outside world was scarce. He simply wanted to keep his community and the surrounding areas informed, so he used his meager savings to travel North and bring back stories from the Capital, and then South, to bring news from Walsh and Toring. These stories that inspired men and women like industrialist Sean Abernathy and poet Cairistiona Ridpath to look out beyond the fens of their homeland and become important cultural representatives of the region. And along with them, the Gazette found moderate success throughout the Crowndonian Empire. Alas, the world moves too fast for such humility, and in my father’s waning years, amongst the outbreak of the war with Nor Easter, the Gazette found itself in dire straights. On my father’s deathbed, I approached him with a bold proposal, to take the Gazette over the mountains to Nor Easter, and across the Cove to Monteddor. He was reluctant at first, but I won him over, telling him that it was merely an extension of what he began, when he first left The Middle of Nowhere all those years ago. After three years, I’m happy to announce that the Gazette is more successful than it’s ever been. We recently opened a branch in Nor Easter (to no shortage of controversy), that has proven to be an invaluable perspective in understanding our great Triumvirate. Soon, we hope to open a branch in Monteddor as well. Perhaps someday we’ll make the jump across the Barricade Ocean, to the colonies. With Adella Chatelaine currently making her way there, it’s closer to reality than we think. None of this would be possible without you, dear readers. Your tips, feedback, praise, and hate mail are what keep us going. Thanks for reading, and here is to several more years of success! ***On a real world note: I just want to thank everyone who has followed, read, and commented on my blog over the course of the last year. I recently hit one hundred followers, and while it may have taken me quite a long time compared to some, I’m grateful for every pair of eyes that reaches this page. Thanks! 28/7- Despite several situations which were ripe for violence, Festival of Ancestry in Monteddor has ended with no major bloodshed. Tensions were highest over the De Santana family gathering. The recitation of Lineage was performed by Blackwood magnate Marco De Santana. After several raids on De Santana refineries the week before, authorities believed that violence at the event was inevitable. And even though De Santana’s daughter, Yolanda, is believed to be behind the attacks, they stood together during the recitation, and onlookers say they got along without animosity, even if Yolanda’s attitude toward her father was described as cold. She also left the ceremony before it ended, and has not been heard from since. Another event that many believed would spark violence was the official induction of the Julianos name into the royal circle. Alejandro Julianos was viewed as merely an opportunistic upstart less than a decade ago, and as always, there are rumors surrounding plots against him. Even more, Julianos did not appear at the festival in person, opting to accept his position among the royal families in a letter. What should have been viewed as an affront, we are told, has instead been downplayed in Monteddorian circles. And, as it has been for two centuries, the fifth Royal ancestral tree stands unpainted, a stark reminder of the massacre that occurred at the Festival so long ago. While some believe this was merely an oversight, others believe it is Julianos sending a clear signal to anyone who would threaten his new claim to power. **Apologies to anyone who reads Blackwood Gazette regularly for not posting yesterday. My internet was down most of the day, and when it finally came back up it was so slow as to be unusable. Everything’s working properly, now, so…here’s yesterdays post, today! Now, if you’ll excuse me, I still need to write today’s post, ha ha. We all know that movies based on video games are uniformly awful (even though I have a soft spot for the first Resident Evil, personally). But if any game can successfully make that transition, it’s Naughty Dog’s “The Last of Us”…the thing is practically a movie anyway. Sony dropped the bomb today that such a movie is in development, and its being written by the same guy that made the game (Neil Druckmann), and produced by horror icon Sam Raimi. Even better, it’s rumored that Arya Stark herself, Maisie Williams, is a strong contender for Ellie. Not a bad likeness at all, yeah? If there’s an element to all this I’m iffy about, it’s Sam Raimi. I love this guy’s movies as much as any horror buff, but his movies tend to lean toward the goofy. He’s only a producer, and I think he’s the kind of guy who knows when to respect the source material. Only time will tell. 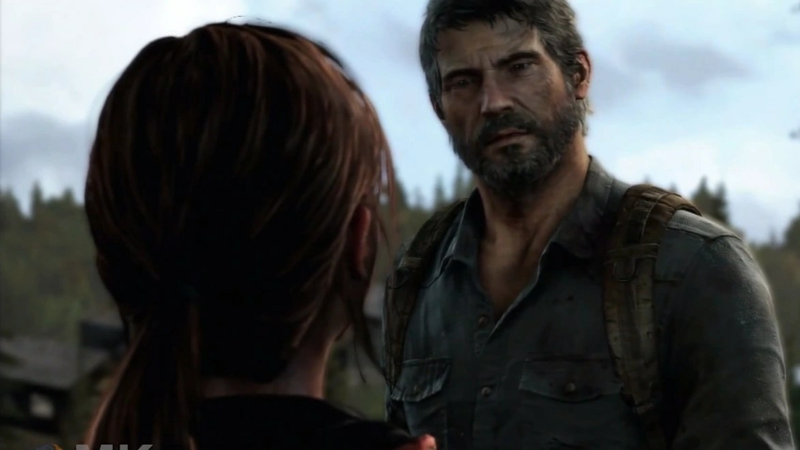 Now, to play the cynic: why does The Last of Us even need an adaptation in the first place? The game itself is an excellently told tale of horror and loss, with a great cast in Ashley Johnson and Troy Baker. People have even cut all the cut-scenes together and posted them on YouTube. And there is just something about actually PLAYING the game that adds an extra layer to it all, like you’re actually making the journey with these characters, that’s a unique element to games as a storytelling medium. In any case, here’s hoping they make a damn good movie. 23/7- What would our society be like if not for the discovery of Blackwood? That’s the question posed by author Clement Aldridge Kene in his new novel, The Gutted Earth. The book takes place in a fantasy world, in the fictional land called Almeria. In it, humankind finds itself on the verge of a world dominated by steam based technology, only to discover such a thing would be unsustainable for more than a few years. Kene writes that his first instinct was to imagine a purely electric based world, but that idea was scrapped. In the book, humanity develops the ‘internal combustion engine’, and technology develops along oil based lines. The results are horrific. What makes the novel even more disturbing, Kene warns, is that the world imagined in his book could be something that actually happens in the next two hundred years. The Gutted Earth will be released serially, and makes its debut next month in Stories of the Strange Monthly.